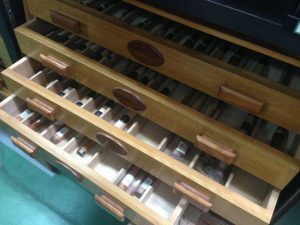 A list of some tool stores in Kyoto (online stores listed down below). Please note it only includes the stores we have visited so far. The list will be updated over time. Click on the address to view it on Google maps. They have some decent Kanna and Nomis but are limited. A basic range of tools can be found here. Some less common tools can also be found. Mostly stocks Nomi and Kanna. Many different types of Nomi available. A variety of Kanna (Planes) and Nomi (Chisels) available. Specializes in blades and knifes. Limited variety for woodworking tools. Good range of woodworking tools. Some less common tools for sale. Good range Nomis, Kannas and saws. A decent variety of other tools. 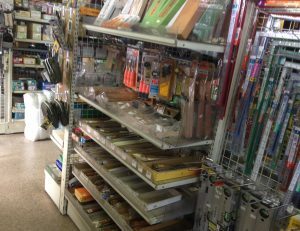 Good range of Nomis, Kannas and Saws. Great for power tools and general tools (tool parts, saws, etc). Not much Nomi and Kanna. For a more detailed look at each store, head over to the blog. Please bear in mind the stores featured are very local stores. English is hardly spoken by the shop owners. If you would like a guided tour of the stores, check out our Airbnb experience! These stores sell high quality, professional tools and ships internationally. Please note that the websites are in Japanese and it is recommended to translate it using Google Translate. Please keep in mind only a little English is understood by the stores. To place orders, email the shop in simple, basic English. Here are some book stores in Kyoto which has a good selection of books on architecture, carpentry and woodworking. Note that most books are written in Japanese but you can find books with plenty of pictures and drawings. Every month, there are two big flea markets held in Kyoto. Here you can find second-hand tools, antiques and more. Held on the 21st of every month. From 5:00am to 4:00pm. Held on the 25th of every month. From 6:00am to 4:00pm. There are two “tool festivals” held every year in the city of Miki, Hyogo Prefecture. Blacksmiths from the area gather to show and sell their tools. A very wide variety of tools are available. Usually held for two days in May. A bigger festival held for two days every November.